Most of you probably won’t remember it (I barely do), but during our coverage of the Samsung Galaxy S4 back in March, we managed to get a hold of a Bluetooth gaming controller that Samsung was also hyping at the time. In fact, we took it for a spin in a quick hands-on video during the big GS4 press event. Yet here we are in December, about to leave the year 2013 behind, and Samsung is just now announcing availability. The controller has changed quite a bit though, and is now known as the Smartphone Gamepad. 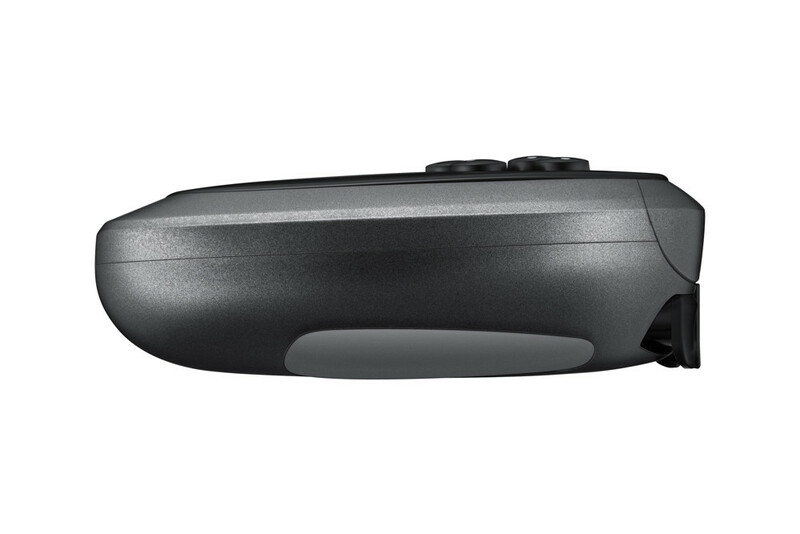 In terms of appearance, this new Gamepad looks almost nothing like the previous model. Well, the buttons are laid out in a similar pattern, however, the white shell and colorful accents are long gone. The new Smartphone Gamepad is all black, with metallic accents throughout. 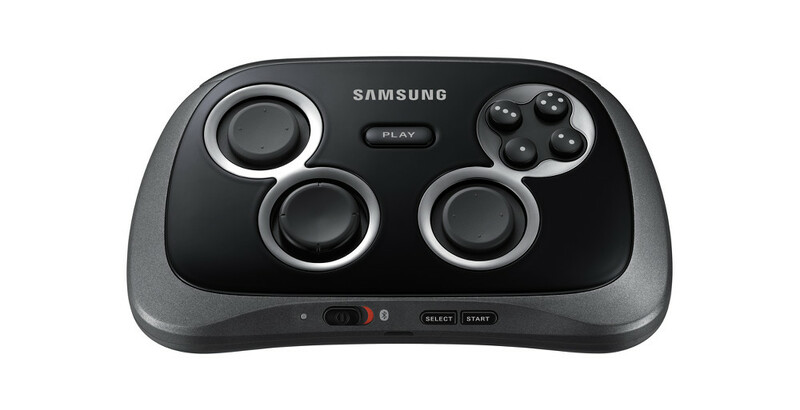 You are looking at an 8-way D-pad, 2 analog sticks, 4 action buttons, 2 triggers, select/start, and a PLAY button that works specifically with Samsung devices. 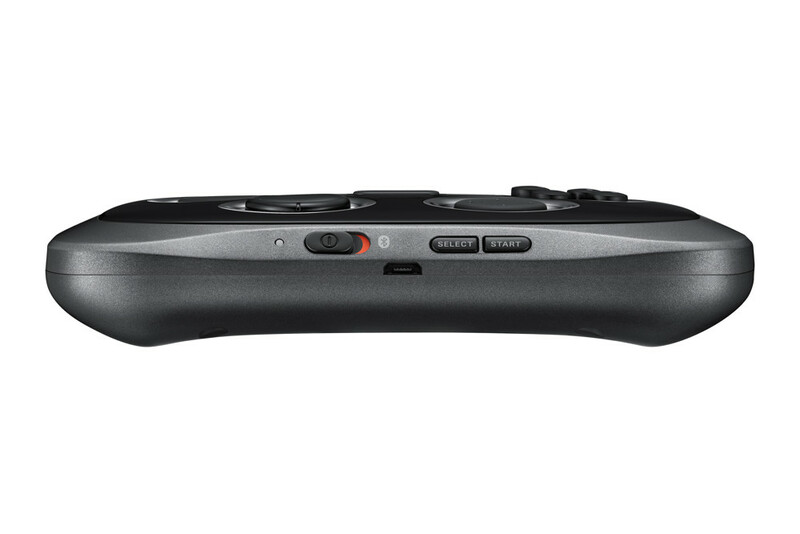 Like other Bluetooth gamepads, the SG has an arm that extends to hold devices up to 6.3-inches. 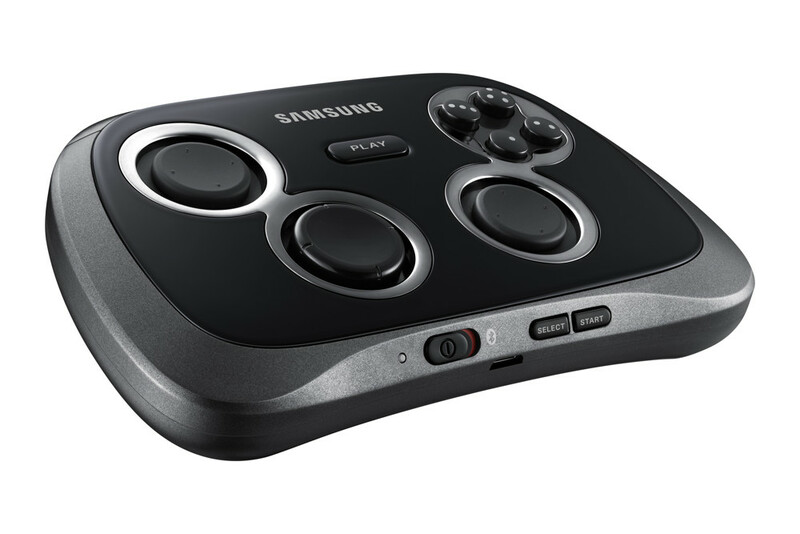 The press release leads us to believe that the Gamepad will work with almost any Android device running Android 4.3+, but there are special services reserved for Galaxy Phones. For example, the PLAY button allows users to quickly open a “Mobile Console” app to see titles that can be purchased. Samsung says that there are 35 dedicated games, tweaked specifically for the SG, ready for launch. At this time, we do not know the price of the Smartphone Gamepad. It is currently available in select European markets and will branch our to other regions over the coming weeks. 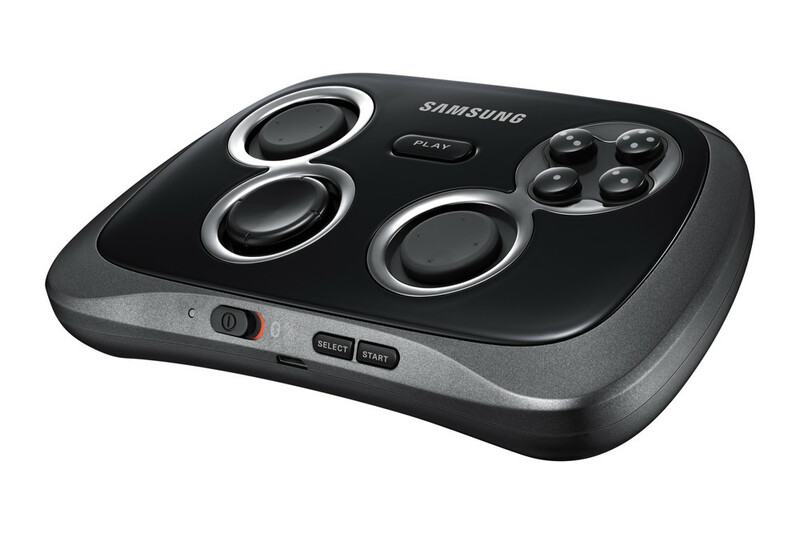 SEOUL, Korea – December 17, 2013 – Samsung Electronics Co., Ltd, a leader in mobile technology and digital solutions, today introduced the Smartphone GamePad and Mobile Console app to enhance the gaming experience on Samsung’s popular line of Galaxy devices. Launched in response to the rapidly expanding global mobile gaming market, Smartphone GamePad provides consumers with a fun, convenient, and advanced gaming experience anytime, anywhere. The Smartphone GamePad instantly transforms the user’s Galaxy smartphone or tablet into a portable gaming console or even a home console. Through its premium, easy-to-carry design and durable steel frame, GamePad is attachable to mobile devices ranging from 4-inches to 6.3-inches, allowing users to play games wherever they are. Users can also connect Galaxy devices to their TV through an HDMI cable or AllShare Screen Mirroring for video game console experience from their living room. GamePad easily connects with smartphones and tablets through Bluetooth pairing. 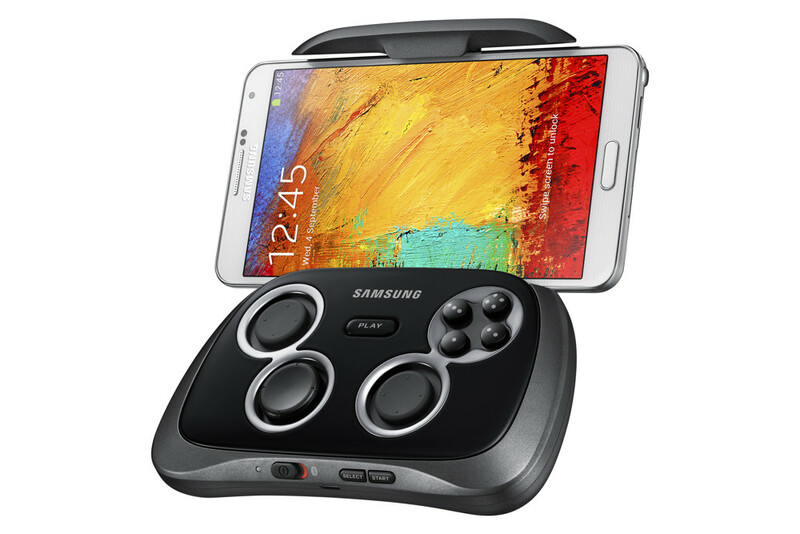 The most convenient features optimized for Samsung Galaxy devices running Android 4.3 such as Galaxy Note 3, S4, Note II, and S III enable easy connectivity with GamePad via NFC tag and quicker access to games via the “PLAY” button. With just a tap of the “PLAY” button, users can easily access the Mobile Console app, Samsung’s new integrated game launching app that opens in conjunction with GamePad to allow users to conveniently browse and purchase game pad supported games. Users can save money by enjoying reasonably priced console-quality games without the expense of additional gaming systems, as Mobile Console features games across a variety of categories including traditional racing titles such as EA’s Need for Speed™ Most Wanted and Gameloft’s Asphalt8 : Airborne, first-person shooter titles such as Gameloft’s Modern Combat 4 : Zero Hour, sports titles such as SEGA’s Virtua Tennis™ Challenge, and action titles such as Ubisoft’s Prince of Persia : The Shadow and the Flame. The Mobile Console app is available for download through Samsung Apps or by tapping the GamePad’s ”PLAY” button, and offers 35 dedicated games at launch with much more to come in 2014. The GamePad is is currently available in select European markets and will be available in additional regions in the coming weeks. The availability of the GamePad varies by market.